SouthPoint Bank has one mission in life, and that is to help you move forward. That’s our mission and we live up to it by providing you with competitive offerings, thoughtful products and, above all, impeccable service that puts people first. It’s a simple rule. It’s a golden rule. Treat everyone with respect. Just the way you would like to be treated. Listen, have empathy and compassion. Be kind, and serve others. Work hard, be responsive and persevere. Anticipate the needs of our clients. Keep moving forward. Enjoy life. Enjoy your work. Have fun, laugh, celebrate, and remember to thank others for what they do. You work is more enjoyable when you point others forward. Excellence is a choice. Choose to exceed expectations. Choose to care about the details. Choose to outwork our competition. Do what you say. Do the right thing. Even when no one is watching. 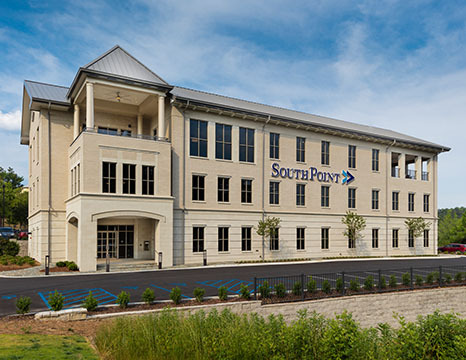 SouthPoint Bank was launched in October 2005 by former SouthTrust Corporation executives. Steve Smith, currently Chairman, President and Chief Executive Officer got the idea of opening a bank when the former SouthTrust Bank was purchased by Charlotte-based Wachovia Corporation in June of 2004. Steve Smith left Wachovia after 22 years of service because he wanted to build a local bank that served the community. He recruited other interested former SouthTrust co-workers, shared his ideas, and in March 2004, submitted an application to state and federal regulators to open a Birmingham-based, state-chartered institution called SouthPoint Bank. Since Smith's plan was to develop a community bank that was locally owned and operated, he limited shareholder investments and injected a sizable sum of his own money into the venture. When the bank opened in 2005, nine of the original 14 employees came from SouthTrust. The bank currently has a total of 43 employees of which almost half are former-SouthTrust employees with an average of 16+ years of experience in the banking industry. 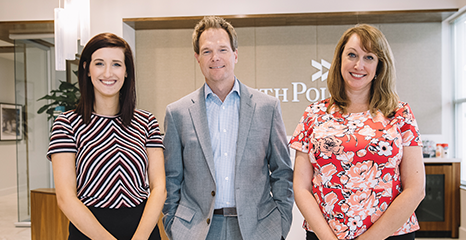 SouthPoint’s Home Mortgage Lending Division currently has 40 employees all of which have past mortgage experience. There are currently eight directors on the board. The first SouthPoint Bank branch was opened in Trussville in December of 2006. The Gardendale branch opened in August 2007 and the Wilsonville branch opened in September 2014. In late 2007, SouthPoint started the Home Mortgage Lending Division which currently has six offices. They are in Birmingham, Decatur, Millbrook, Muscle Shoals, Spanish Fort and Huntsville. 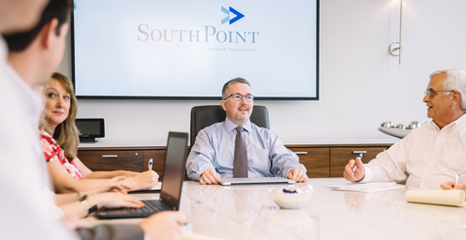 SouthPoint Bank designs their product line to appeal to small- to medium-sized, privately-owned businesses as well as professionals and owner-occupied real estate developments for lending and deposit relationships. SouthPoint is also highly successful at Home Mortgage lending for individuals and offers great interest rates on checking accounts for individuals. 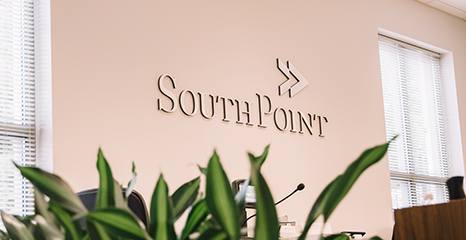 SouthPoint Bank wrote a significant chapter in their history when they moved to their new headquarters at 3501 Grandview Parkway, just off Highway 280. The new building, designed by Barrett Architecture Studio, will be conducive to banking and will be able to accommodate private bank events. The new structure will also allow for the consolidation of all bank divisions including commercial lending, mortgage lending, retail and operations under one roof. We are SouthPoint Bank. Our purpose is to point people forward. We do this by offering financial tools that provide solutions to help our customers go forward, not only financially, but in life.